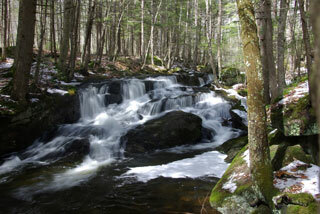 The Great Brook Trail follows the course of Great Brook and offers views of water cascading down steep ledge in two locations, which are particularly impressive with increased water flows in the spring. 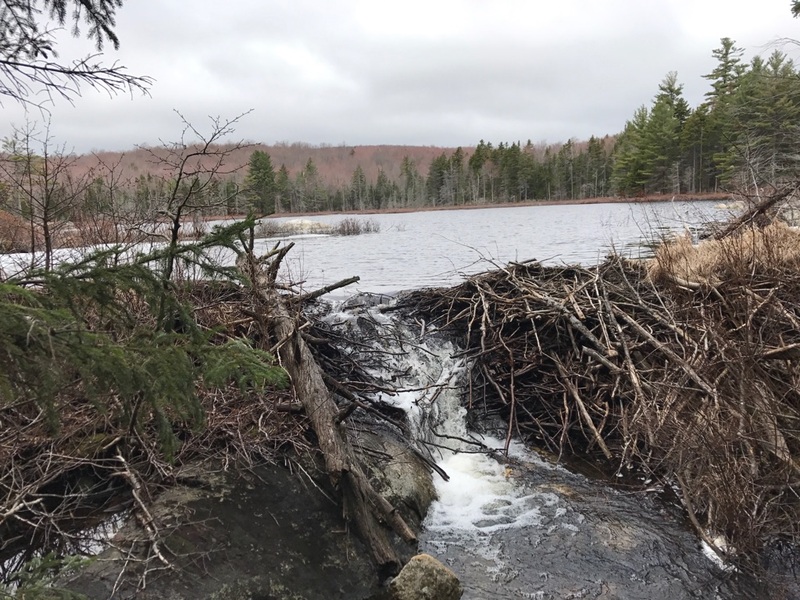 A beaver dam is located at the top of the trail at Devils Half Acre Pond. 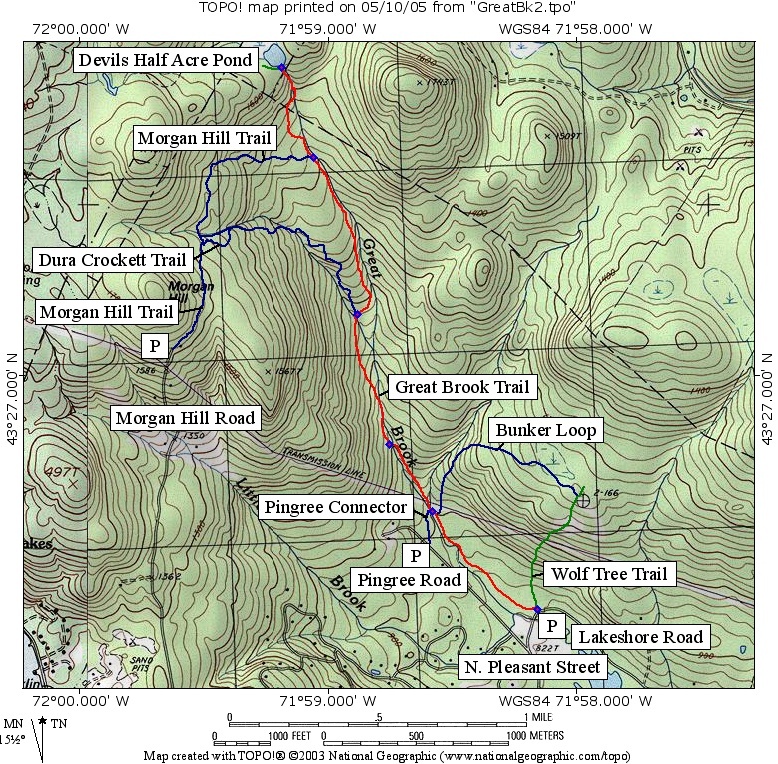 The Great Brook Trail (in red) climbs from its start at Lakeshore Rd (point GB1) to Devils Half Acre Pond above the Upper Cascades (point GB6, in Wilmot). It climbs 760 feet in 2.3 miles (one way). It is part of the Sunapee Ragged Kearsarge Greenway (SRKG) which continues on into Springfield (beyond GB6 in green) or up the Wolf Tree Trail (in green). Three access points with parking (P) are shown on the map. The trail may be combined with the Dura Crockett and Morgan Hill Trails (in blue) or the Bunker Loop and Wolf Tree trails to provide loop hikes. The section of trail between the bridge above the Lower Cascades (point GB3) and the start at Lakeshore Rd is known (and signed) as Cocoa's Path.